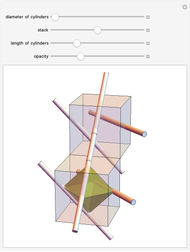 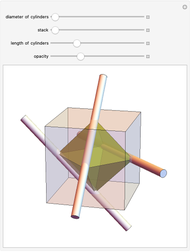 Cylinders pass through a cube along three edges of an octahedron that bypass each other. 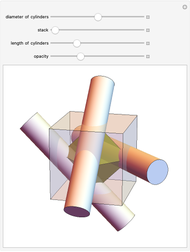 The cylinders do not intersect with each other until their diameter is greater than one sixth of the body diagonal of the cube. Sándor Kabai "Three Cylinders in a Cube"